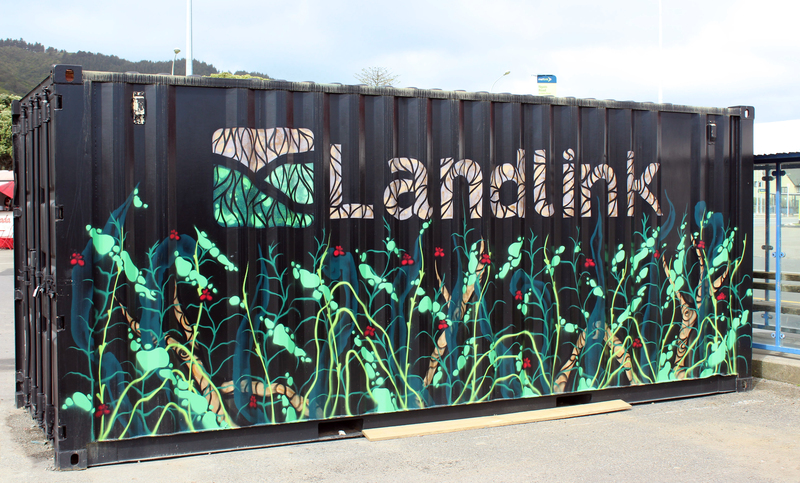 Landlink used to be in Mahara Place, but moved to an office at the east end of Ngaio Road. This storage container beside the bus stop was given ‘beauty treatment’ to make its presence if not appealing, at least acceptable. Having fluted steel sides makes it slightly more difficult for the artist. There’s a different mural on the other side, a pic of that to come.